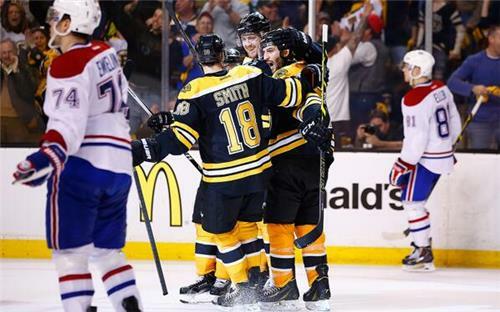 Get updates, commentary, and analysis as the Bruins take on the Montreal Canadiens in Game 2 of their Stanley Cup Playoffs series. We could watch that save from Carey Price All. Night. Long. Nous pourrions regarder cet arrêt de Price Toute. La. Soirée. 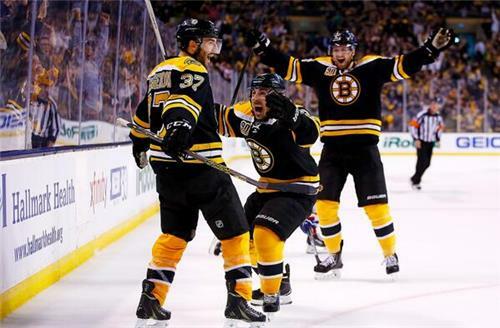 Bruins dominate Game 1, lose. Skate in mud for 45 minutes, win. I will never figure this sport out. Tx! Google search shows both. RT @Parrotheadduff : @GlobeKPD NBC has 6:24. Lead time, two games, #Bruins , #Habs : Bruins, 11:39; Habs, 58:08. 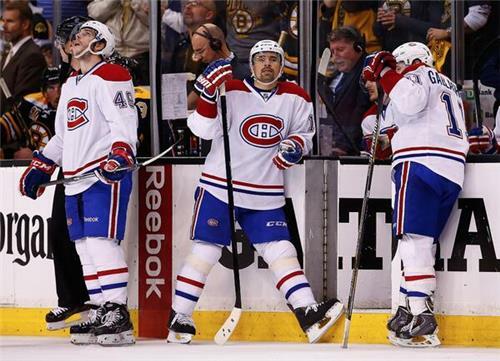 Canadiens shooting spitballs 5-on-5. Bruins will be OK if they stay even strength. Il y a un cliché dans le hockey qui dit qu’il faut jouer pendant 60 minutes. Souvent, les clichés sont vrais. 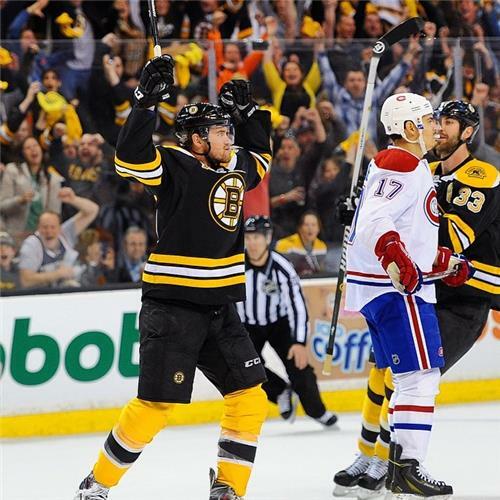 Montreal w/ 7 goals in 2 games -- only 3 at even strength.. Bruins with 7 at ES. In two games (including double OT), Bruins fire 160 shots at Price. 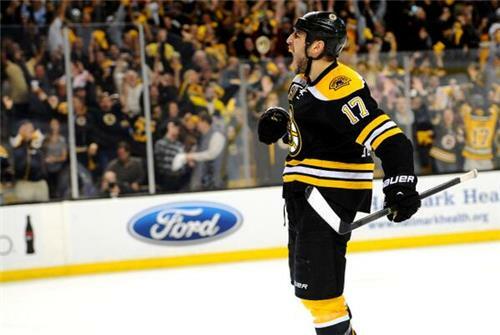 And one Lucic ENG. Vanek, tourist for two games, could finish with game-winner. Hockey. Hugh -- HNIC will never get it. It's an afternoon game. 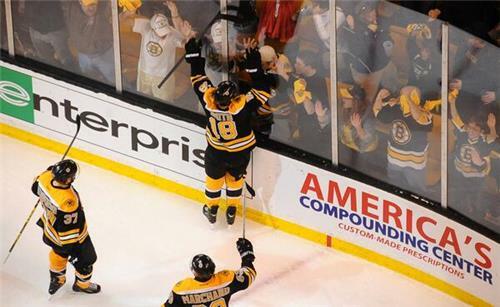 Liked almost everything about Bruins in Game 1. So far, not so much today. Bruins making too many mistakes at bad times. Team that played Game 1 is missing. ''Mind if we dance w/ your dates''? RT @noahauclair : @GlobeKPD what do you think Gallagher said to Iginla? Mike Weaver tied things up earlier with a BLAST. Some OK looks on Carey Price in the second. Not even close to enough. Remember the mantra about focus before the series began? Here's where we see if the Bruins have it. A lot of emotional noise right now. Bruins season on the brink. They lose today, series over. Montreals best weapons bruins in box. I'm not sure I'd use the words 'Bruins' and 'culture' in the same sentence. The booing of Subban was beyond belief. He responded with his stick. Looks like down 2-0 after today. 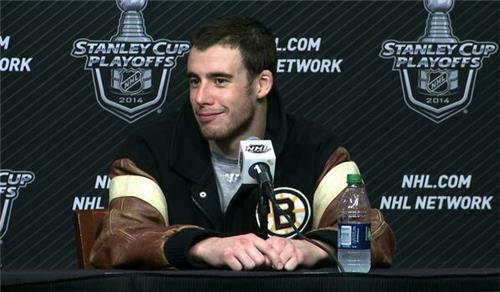 Bruins lose composure. Price playing like Dryden. Bruins letting Canadiens linger around the net.